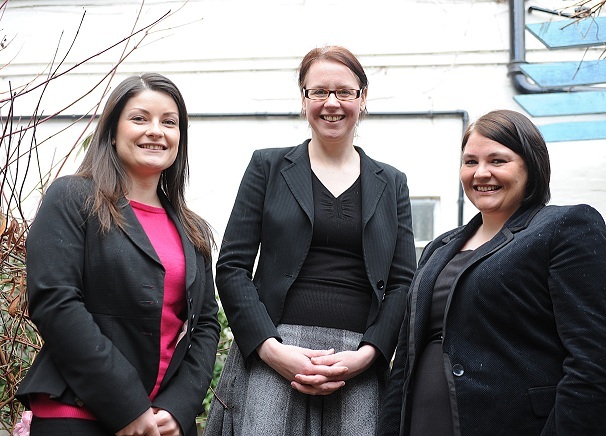 Three new lawyers have been recruited by an expanding Shropshire law firm. Wace Morgan Solicitors, which has offices in Shrewsbury and Newtown, has taken on the trio to strengthen its team of legal experts. Emma Richards, who has worked within county law firms in a conveyancing role for five years, joins Wace Morgan’s property department, specialising in residential transactions. She passed her graduate diploma in law with commendation and postgraduate diploma in legal practice with distinction at the University of Wolverhampton. Rachel Wierzbinski studied law at the University of Wales in Aberystwyth, moving on to complete her post graduate diploma in legal practice at the College of Law in Chester. She qualified as a solicitor a year ago and is now a member of Wace Morgan’s commercial property department based at College Hill in Shrewsbury. The firm’s third new appointment is Lucy Kealy. Educated in Shropshire, she then attended the University of Lancaster, graduating with an honours degree in law. She went on to obtain a distinction in the legal practice course at the College of Law in Birmingham. Lucy completed her training contract with Lanyon Bowdler Solicitors in Shrewsbury, where she worked for seven years. She is a student member of the Society of Trust and Estate Practitioners and an associate member of Solicitors for the Elderly, sitting on the group’s Shropshire committee.